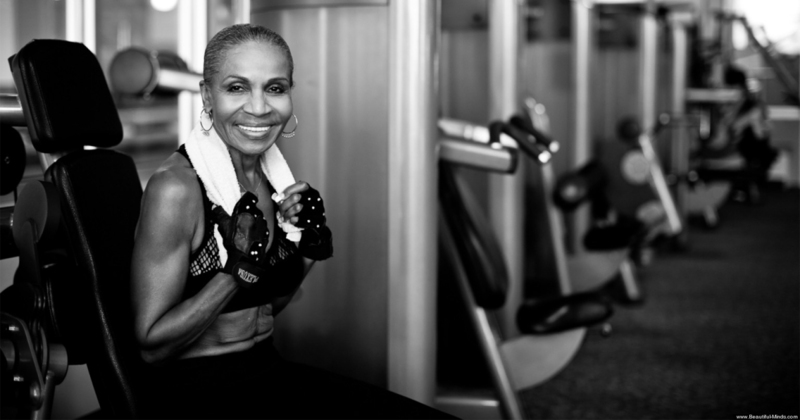 “Age is nothing but a number, and you can get fit.” Those are a few of the many wise words of Ernestine Shepherd, the world’s oldest female bodybuilder — she was born in June 1936, making her 79 this year. She hasn’t been dedicated to fitness her entire life, but that’s part of the message she wants to spread: you can start at any age. “I have to practice what I preach. I can’t tell anyone to do anything if I’m not doing it,” she says. Ernestine exercises and eats right every day, and she spends extra time to inspire others through group classes she teaches to men and women of all ages. “It’s deeper than just coming to this class and working out. It’s deeper,” one woman said. Watch Prevention Magazine’s emotional video to see the full story of a day in the life of this incredibly inspiring woman. © 2015 Fitness in Life. All Rights Reserved.